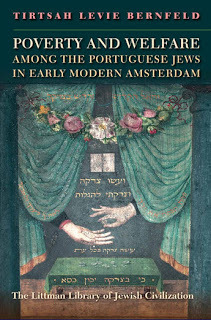 Author, Poverty and Welfare among the Portuguese Jews in Early Mo dern Amsterdam. Tirtsah was born in Rotterdam and studied history at the University of Amsterdam, at Brandeis University, and at the Hebrew University of Jerusalem, where she earned her doctorate. As an independent scholar she is involved in research on different aspects of Dutch Sephardi history during the early modern period and has written several articles on the subject. She is the co-editor of Dutch Jewish History: Proceedings of the Symposium on the History of the Jews in the Netherlands (1984). A former curator of the Jewish Museum in Amsterdam and visiting curator at the Amsterdam Historical Museum, she has also been involved in various exhibitions and publications, such as Wonen in Amsterdam in de 17de en 18de eeuw (1980), and Êxodo: Portugezen in Amsterdam 1600–1680 (1987), published in Portuguese as Portugueses em Amsterdam 1600–1680 (1988). She lives in Amsterdam but will be at UBC for the 2012-2013 scholastic year. Click here to view all the confirmed presenters.